Once it’s up and running, we expect the new Webb space telescope to send us back some pretty impressive space shots — but the photos of its construction have been unexpectedly delightful as well! 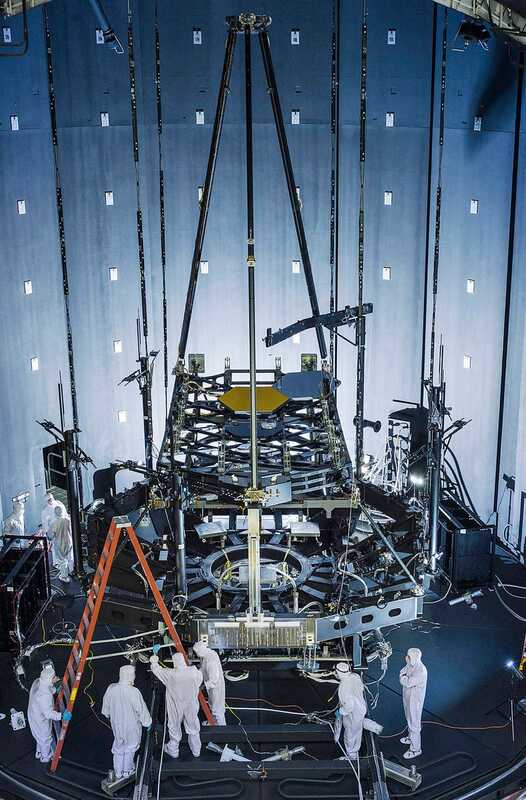 When it’s completed, it will be the most world’s most powerful space telescope ever built, but for now it’s still confined either to a giant thermal vacuum chamber (like you see pictured above) or to a clean room, as it’s painstakingly assembled, piece-by-piece. Check it out as it builds up!